“Moooooom, your garden is weedy!” said a bossy little five-year old. She is good at pointing out the obvious. After some much needed rain and sunshine, the garden is bursting with green, most of it weeds. Weeding comes with gardening. It has got to be done and it’s best to do it before the weeds get too big. Weeds compete with your vegetables for nutrients and water. I like to pull weeds early in the morning and preferably after watering or a gentle rain. The weeds come up easier when the ground is soft. 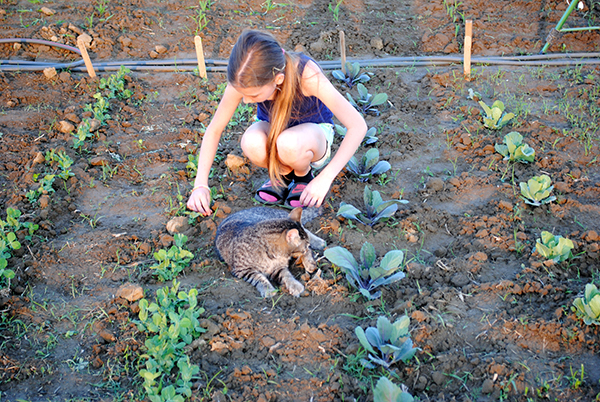 I hand weed between each plant and use a hoe between each row. I work methodically, one row at a time, that way if I get interrupted; I know where I stopped and know where to start next time. 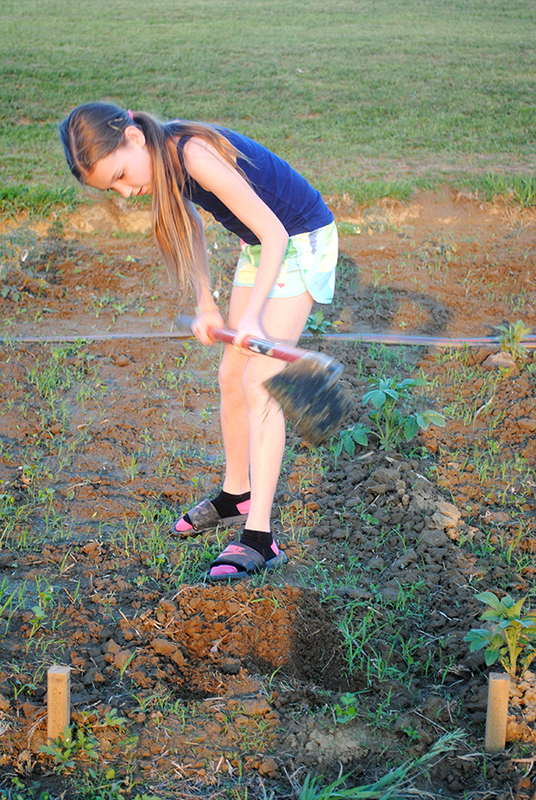 Weeding is not a chore my children like but it is something they have to do. I give very clear instructions on what is a weed and what is a plant. George Washington Carver said it best, “A weed is a flower growing in the wrong place.” Some of the green that needs pulled may not look like a weed, but since it’s in the wrong place, we consider it competition and it needs to be removed, root and all. If you tackle the weeds with a hoe or tiller, be sure not to damage the roots of vegetables. To control weeds, adding mulch to the garden is extremely effective. Here is a video of me explaining how I mulch my garden. 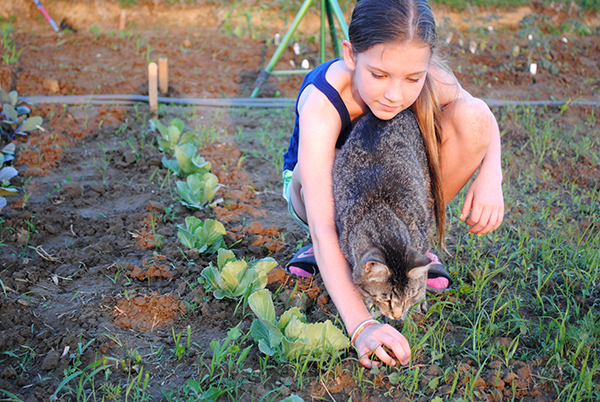 If only that lazy cat could help weed the garden, too. I compiled a short list of things to continue to do in the garden. I am in zone 5 and the garden is slower to get started. Some of you may have been past this phase of gardening. If so, lucky you!! Leaf lettuce when it is 4 to 6 inches tall. Do not pull the plant out of the ground, simply cut the leaves off. This will also encourage growth and flavor. Spinach when plants are 6 to 8 inches. – Look for insect damage, holes in leaves or droppings (poop). – If leaves are yellowing, you may need to add fertilizer. – Stagger your plantings. Two weeks after planting lettuce, sweet corn and green beans, I plant more rows for a later harvest. – Mulch. Mulch is a GREAT way to retain the moisture in the soil. 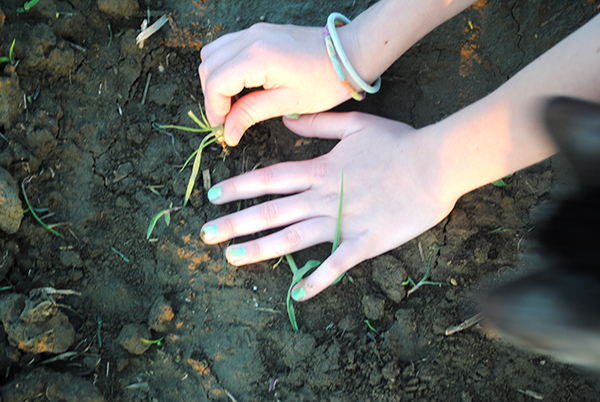 It’s best to wait until the ground is warm and the seedlings/transplants are established.